A major source of stress for people who are on the Autism spectrum can be the environment around them. Such environmental factors that cause anxiety, distraction and even pain include noise, texture or visual stimuli such as light. Lighting is one of the key elements within an environment that determines whether or not a person with Autism Spectrum Disorders (ASD) can enter and remain within that environment. A flickering light bulb or fluorescent lighting can be a barrier to access for a person with ASD. Environmental factors, as identified above, can cause a person with Autism Spectrum Disorder to enter a status of sensory overload. Sensory overload presents differently in every person with ASD; however, it ultimately means that the person can no longer remain or function within that environment due to the sensory stimuli being received. People are now getting more and more educated when it comes to Autism and now we have companies like myAccessHub who are helping businesses to become accessible to individuals on the Autism spectrum. One of the ways to assist people on the Autism Spectrum is to introduce L.E.D. lighting. This type of lighting can bring many benefits to people with ASD; but, primarily L.E.D. lighting can assist in preventing and alleviate sensory overload. L.E.D. lighting unlike traditional lighting sources do not flicker and emit sound which can be a big contributor in causing sensory overload. A feature of L.E.D. lighting is that you can have lighting controls for dimming or more gradual turning the lights on and off so there is not such a dramatic sensory input upon the person affected. L.E.D. lights are being widely used for people with Autism at a young age. 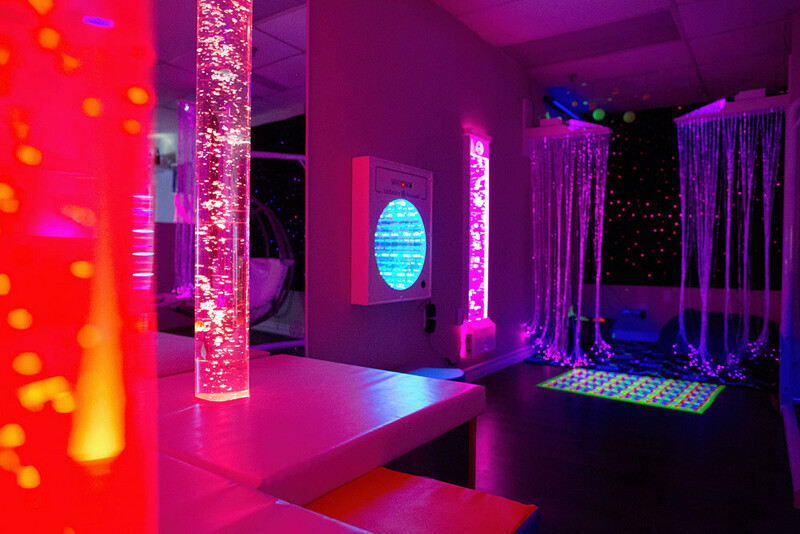 Coloured lighting using mellow tones and colours such as blue and purple can help them to relax as children on the Autism spectrum are particularly susceptible to mood changes when it comes to light. As mentioned flickering can confuse or even hurt them. L.E.D.’s offer more control for people and parents. Older PostWhat a Night !! !